While the Japanese cuisine has been around for centuries, the U.S. didn’t see sushi in it’s restaurants until 1970, when advances in refrigeration technology made it possible to ship fresh fish overseas. The first American sushi bar was opened in Little Tokyo, Los Angeles and began spreading to other major American cities, such as New York and Chicago. Because of this expansion and the ever-changing preparation and serving techniques, Pittsburgh now hosts its own variety of sushi restaurants. If you want to try the dish but aren’t ready to roll it yourself, be sure to check out one of these great spots. What better reason to go out than a free lunch? Treat a friend or loved one to a Giftya of any amount, giving them up to $100 to any merchant you choose. 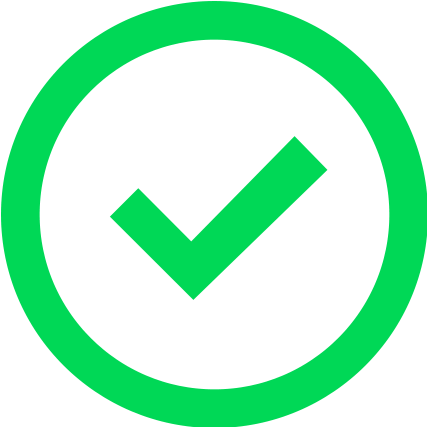 Send it with a personalized message right to the recipient’s phone. Choose any of these sushi restaurants for a gift and have your fellow Pittsburgher bring you with them. Courtesy of What to Eat in Pittsburgh. 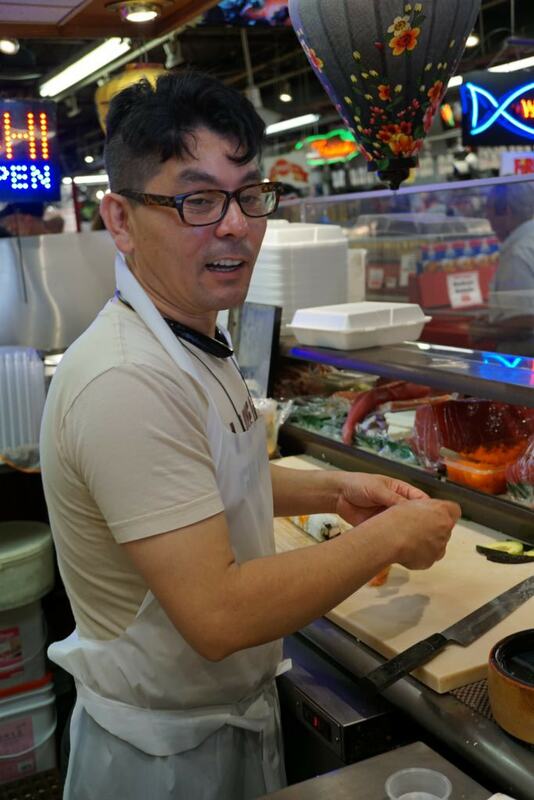 Meet sushi chef Andy! Andy’s sushi is made by Andy himself, a funny and exciting sushi chef. His sushi bar is located inside of Wholey’s Market in the Strip, which opened in 1959. The original Robert Wholey Company started in 1912 in McKees Rocks and has been serving fresh poultry ever since. After picking up some of Andy’s sushi, be sure to explore the rest of the market. Wholey’s offers a selection of soups, fudge, and peanut butter, among the rest of their seafood selection, which includes fish fillets, seafood steaks, and squid. Since it is a stand, there isn’t seating right next to Andy, but the market does have a seating area upstairs. Image courtesy of the Post Gazette. 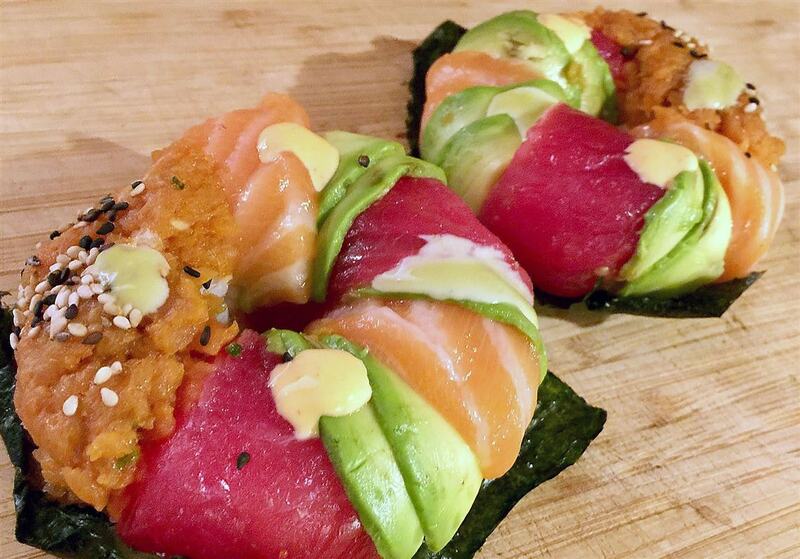 Try a sushi donut from Mount Everest for an interesting take on the Japanese cuisine. Stop by Mount Everest if you ever find yourself on Pitt’s campus for an excellent sushi roll. A few minutes from the Cathedral of Learning, Mount Everest offers a la carte options, specialty rolls, and hand rolls (such as a California or eel avocado roll). If you’re feeling adventurous, opt for one of the chef’s specials, such as the sushi donut or the sushi crispy taco for a different way to consume the largely traditional dish—in this case with your hands. Mount Everest also offers poke bowls, which are chopped raw fish over rice with veggies. Image courtesy of Pittsburgh Magazine. 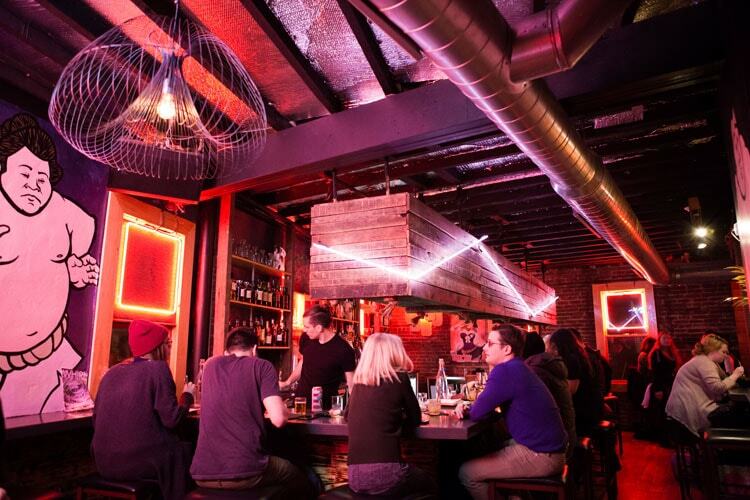 Even though Umami’s sushi bar closes at 10pm, grab a drink until 2am. Umami’s menu offers nigiri (raw fish over pressed rice), sashimi (thin pieces of raw fish/meat) and sushi hand rolls. Top off your late lunch/dinner with some fried ice cream or shredded chocolate cake for dessert. While the sushi bar closes at 10pm during the week, Umami serves drinks until as late as 2am. In addition to their house and cold sake, this place offers fun cocktails, beer, and wine to go with your meal. Make a reservation for this fun sushi joint today! Image courtesy of Nakama’s website. 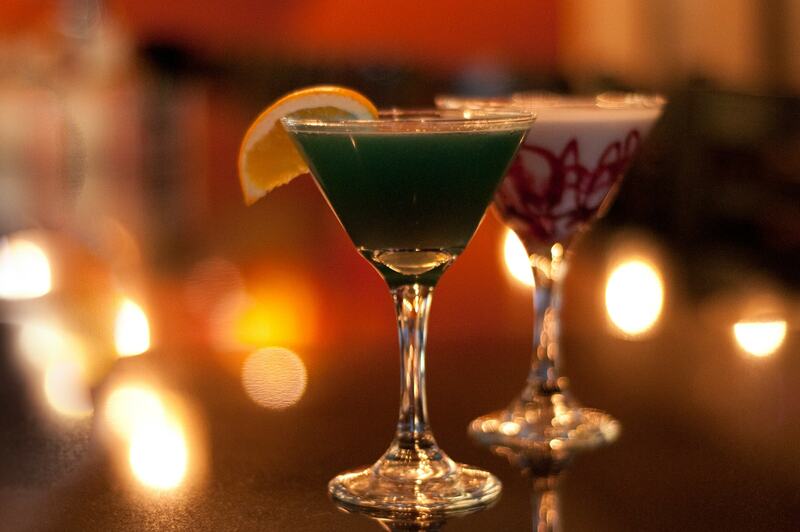 Try one of their exciting martinis when you go! Visit either of the two Nakama locations, or order it to your door via Uber Eats or Postmates. Nakama is a classic japanese steakhouse and sushi bar in Pittsburgh. Their lengthy sushi menu can satisfy any craving, and get in the Yinzer spirit with a signature roll, such as the South Side, Pittsburgh Penguins, or Steelers rolls. Nakama has hibachi as well—the perfect fun outing for a birthday or similar celebration, even entertaining for kids. Try one of their signature martinis to pair with your meal, or a specialty drink in a souvenir ceramic mug. The @nakamafoodtruck is perfect for parties or corporate functions, bringing with it Nakama’s seasonal sushi rolls, egg rolls, and hibachi options. Courtesy of the Yamato website. Check out this Monroeville spot for 50% off sushi on Wednesdays! Another hibachi and sushi bar in Pittsburgh with a great, versatile menu. 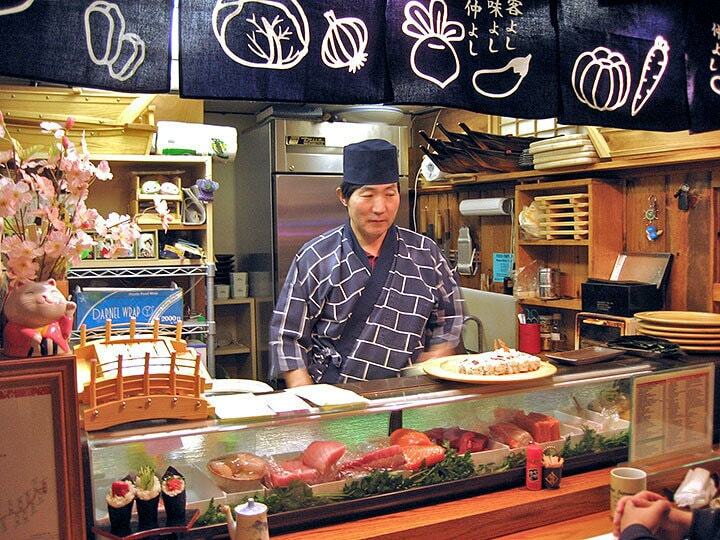 Their sushi bar offers a la carte options, traditional rolls, and a make-your-own roll. The hibachi menu has a single item dinner option, as well as a combination dinner of your design and a list of tempura desserts to end the meal. Up to 50% off select sushi when you dine in on Wednesdays! 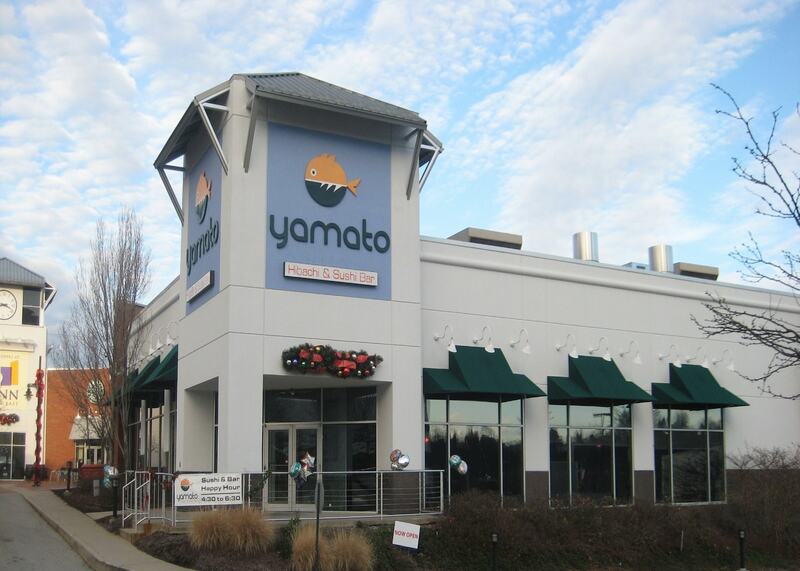 If you’re not dining in, you can get Yamato for takeout or have them cater a local party. They also have a banquet room you can rent out for special events. 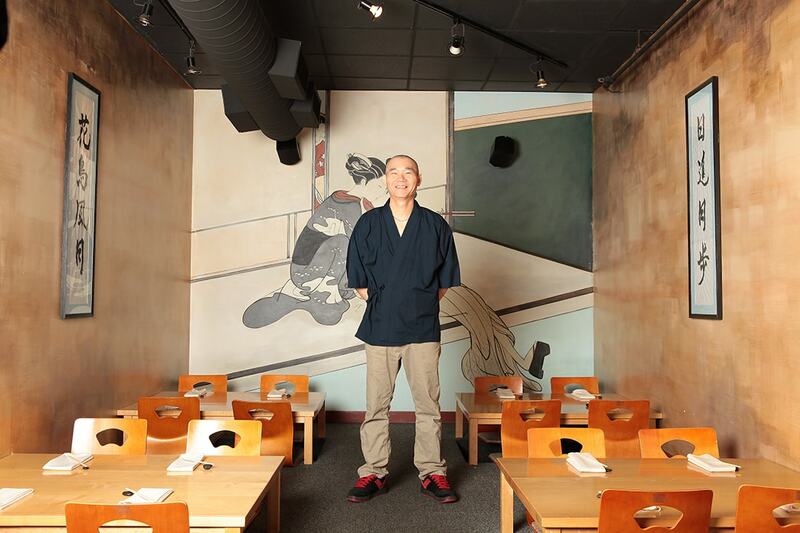 Image courtesy of Pittsburgh Magazine, who named Mr. Shu of Umi their Chef of the year in 2013. Another climb up the stairs, Umi is also on the third floor (but they do offer dining areas on the first floor by request). Stop in Umi for sushi, sashimi or maki (hand rolls available upon request). For an interesting date night, try omakase. It is Japanese for “to entrust” and gives the diner a unique seven or eleven course meal, plus dessert. Sushi chef Mr. Shu makes it a meal to remember. This Squirrel Hill sushi restaurant is a BYOB, perfect for date night. Chaya offers nigiri and a long list of sushi rolls. They also have omakase dinner, as well as Nabemono—a sampling of hot pot dishes—available October through March, and matsutake mushroom seven-course dinners from October through December. Image courtesy of Reddit. Stop by Ginza Japanese for some Bloomfield sushi. Ginza Japanese prides itself on serving simple and fresh high-quality sushi with a “refreshingly unassuming” atmosphere, price, and location. Their menu is classic, offering rolls and bento boxes, which include a six-piece California role, two pieces of Friced shumai dumplings, and rice. Pair it with a beverage of your choice at this BYOB for a quick tasty meal. 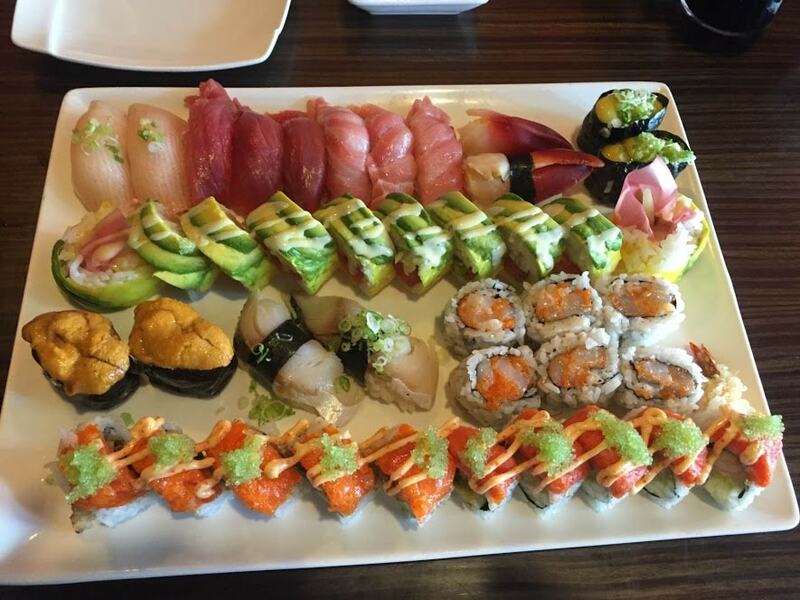 With all of these great sushi options in the Burgh, it can be hard to choose where to go. Be sure to treat a friend to a Giftya to any of these restaurants and hope he or she insists on taking you with them. Where else do you like to get sushi in Pittsburgh? Let us know in the comments!